Email Marketing, Social Media Marketing - What is more effective? Email Marketing, Social Media Marketing – What is more effective? 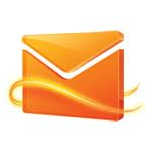 Email marketing has always been considered as the most important marketing tool on the internet. However, with the birth and explosive growth of social media networks in the past few years, it was considered that social media marketing was the most effective way to get to clients who had particular interests that the product or service could cater to. With the numbers that social media networks had amassed, email marketers were advised to clear their desks as there was a new and more effective kid on the block. Right? However, before these long-serving and hard-working marketers get the boot, companies should be informed that these people are still quite effective. They are also quite necessary in marketing as the branch of marketing that they deal in is somewhat different from the one that social media marketers specialize in. This is especially the case after the recent advancements in social media networks such as Facebook which have revealed that only about 16% of a business page’s fans actually get to view a post. This is because of algorithms such as EdgeRank which ensure that a post by a fan page only get to users who have had an interaction with it in the past. Unfortunately, unlike in email marketing, the business cannot control the 16% who actually get to read their posts. This does not mean that social media marketers will be sent packing; it just means that they will have to work harder. However, with all the changes in social media networks, it has become apparent that old is gold and that no company should ignore email marketing as a prime marketing tool on the internet. Both social media marketing and email marketing try to target people with a particular interest and who are more likely to purchase the company’s goods or services. However, email marketing is a more direct as the business ideas, promotions and deals are sent directly to the client’s inbox. Unfortunately, there is never a guarantee that the particular email will be read or even opened. However, it is easier to track traffic from email marketing, especially since a link is always included in the mail, and the marketers can be able to use a tracking system to measure how many people visited the site as a result of a link through the mail. Social is not to pushy? Social media marketing on the other hand targets individuals with particular interests, but the messages are not sent to their inbox. Instead, the posts are displayed on their wall for them to read. If the post will be displayed, the fan will read it and there is a high likelihood that they will actually take interest in it. However, not all fans will get to read a particular post and this is where social media marketers have to work really hard. They have to ensure that they have mastered all the techniques and strategies available that can help them to improve their EdgeRank. This is the only way their posts will be visible to the largest number of people and by so doing, they will be able to reach a large number of people. Email marketing targets people who have subscribed to updates or feeds from a particular website. There are some email marketers who turn to spam in order to reach as many clients as possible. Unfortunately, a lot of web users frown upon this tactic and its effectiveness is not guaranteed. However, social media networks have huge numbers, and companies who are able to master all the major social media networks can milk this cash cow for all its worth. If a social media marketer is able to work hard at improving their Klout score and if they are able to master algorithms such as GraphRank and EdgeRank, then they can be prepared to smile all the way to their account. So which marketing method is the better? When it comes to which is better between social media marketing and email marketing, the answer is none. This is because none is easier than the other, and they both require a considerable amount of effort for results to be achieved. The tactics that are used are different, but the goal is the same, and this is to generate traffic to a particular website with the hope of converting the traffic into sales. Therefore, both should be used hand in hand in order to ensure that the website gets as much traffic as possible. Which marketing medium do you find more effective?